Our Project - Benvenuti su roboteach! Sharing good practices, indeed each educational institution will share its know-how, its own skills, contributing to the development of others through a transnational cooperation. The group of participants is constituted by secondary school students; the members of the direction of each school, the teachers and other non-teaching members of the school staff are also part of this group. There will be 4 mobilities involving about 72 students and 24 teachers/non-teaching members of the staff. The Santo Tirso Vocational School of is located in Northern Portugal, in a small but active town called Santo Tirso, in the heart of the Douro region. Santo Tirso is a city with about 14,000 inhabitants in the Oporto district, in the Northwest of Portugal, a European region with a lot of youth, but where literacy levels are low, mainly in the areas of foreign language. It is a disadvantaged area, which has suffered severely from the fall of the textile industry and the relocation of companies, but which is also struggling to get out of an extremely dramatic economic crisis and achieving it. There are many different initiatives to fight unemployment and also to energize the region and attract young people. There are many traditions, many of them religious, which make it a lively place to live and study. 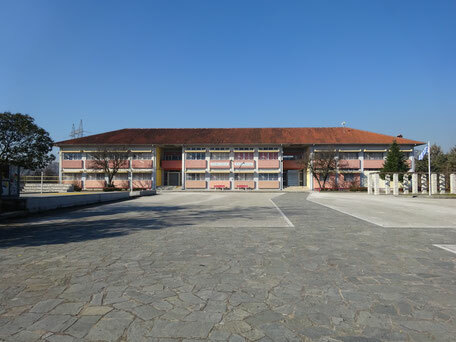 Right in the heart of Santo Tirso, with about 140 students and 20 teachers, the Santo Tirso Vocational School plays a very important role in fighting the growing drop-out rate that has affected our region and also in helping educate students as citizens. This School has three Vocational Courses - Secretarial Technician, Trade Technician and Computer Management and Programming Technician, three areas where foreign languages play a vital role. In these three-year courses, students not only complete a cycle of studies, achieving the year 12 of schooling but, being a professional school, also have the opportunity to carry out part of their training in a real work context. The school offers them traineeships in the first, second and third years of the course, where they can put into practice what they have learned throughout the year. Many of these which allow for students who otherwise would not have the opportunity to visit other countries to do so and come into contact with other cultures. Our faculty also have extensive experience in teaching and European projects, and the school makes a permanent effort to provide teachers with the appropriate training so that there is never an outdated knowledge or form of teaching, which in turn increases the quality of our education. The Portuguese education system attaches great importance to three areas of knowledge and learning: Portuguese Language, Mathematics and Foreign Languages. In Portuguese schools, as a result of growing globalization, students learn English from the moment they enter primary school, and then have the possibility to choose another language: French, Spanish or German. In our School, there are two main languages: English and French. In addition, students of the Trade Technician course have the opportunity to learn Spanish. All of these languages are vital in the areas which we focus on in our school because we are preparing them for the professions where contact with the general public, and even foreigners or emigrants, will happen on a daily basis. However, it is not only Languages and Mathematics which are the priorities of our educational system; there is also a great focus on new technologies, and our school is following this trend. The example of this is the Computer Management and Programming Technician Course, a very extensive course in this area and which allows for our students to acquire quite comprehensive skills with regard to new technologies. The School has been developing European Projects since 2004. In 2015, it was awarded the KA1 Good Practice Award. Recently, our school received the VETCHARTER. Liceo Scientifico Statale "Pietro Paleocapa", a historical institute in the city of Rovigo, was born in 1923. The current building is a modern school complex which includes a library, an auditorium, 32 rooms and several laboratories (2 science labs, 2 computer technology labs, a language laboratory). The current 712 students are enrolled in three courses: Scientific, Technological Sciences and Sports. All courses help students achieve the skills required for their future careers. Some of the school subjects are common to three areas: Italian, English, Mathematics, Science, Physics, History, Philosophy, Religion, and Physical Education. Subjects in the area of Sports and Law for the Sports scientific course. The faculty has been experimenting with new methodologies and techniques, based on an interactive approach to subjects which involve students more actively. The methodological approach is based on cognitive, affective and relational aspects to favour the growth of students through a teaching process that aims for the acquisition of strategies and competences for students to learn and grow as individuals and citizens. Many projects expand and enrich the curriculum and the range of experiences that students can have at school, both in the scientific and literary fields, always taking into account the student's centrality, problem solving, respect, sustainability, cooperation, equity, social inclusion, intercultural understanding. Each year, students may choose, from among the Institute's different suggestions, optional subjects, according to their interests. This school promotes and encourages all initiatives which contribute to the development of forms of European citizenship, both among teachers and students. Indeed exchanges have been held with European partners from Belgium, Poland, Germany and France, for 20 years, with the aim of promoting European values. The teachers involved in the project teach English, computer science and technical drawing, have been taking part in different projects, such as the international mobility of students and are interested in technological innovation in teaching. In addition, some of them have knowledge of AutoCad 2D and 3D and experience in both curricular activities, during the morning, and optional activities, in the afternoon. This way, students can follow the courses as well as have integrative activities in the afternoon with lab classes for graphic development projects, valid for the compulsory curriculum of "Alternanza Scuola Lavoro", as well. Also thanks to the training acquired by the teachers, the students are able to design / project with AutoCad in a realistic, creative, efficient and functional way for the elaboration of the robot. ALMI is a School with vast experience in Vocational Training. In fact, it all started in 1939, as the first study center in Bilbao. Currently, ALMI involves 332 students and 18 teachers. Our training is divided into two main areas: Administration and Information Technology. However, our main goal is to educate people in all aspects, not only technically, but also improve their social, international and entrepreneurial skills. Our Center is now leading a major transformation in new teaching methods, using new technologies and engaging students in methods of active education. ALMI has always been in contact with society and the companies around it, which makes it always try to be to be a reference for innovation in Vocational Training. Regarding international projects, ALMI has vast experience in this area. During the last 15 years, ALMI has been involved in more than 70 student mobilities in countries across Europe, such as Italy, Portugal, Austria, France or the United Kingdom. 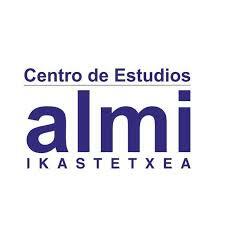 ALMI has participated in previous European international programs such as Leonardo Da Vinci, Erasmus, among others. However, it has always been supported by Confebask as a consortium. Confebask is the Basque Business Confederation and has lvast experience with international projects as well. The school is located in Eleousa, a small town about 8 km away from the city of Ioannina in the north west of Greece. The Secondary School of Eleousa is a General Education State School and one of the biggest in the region of Epirus. 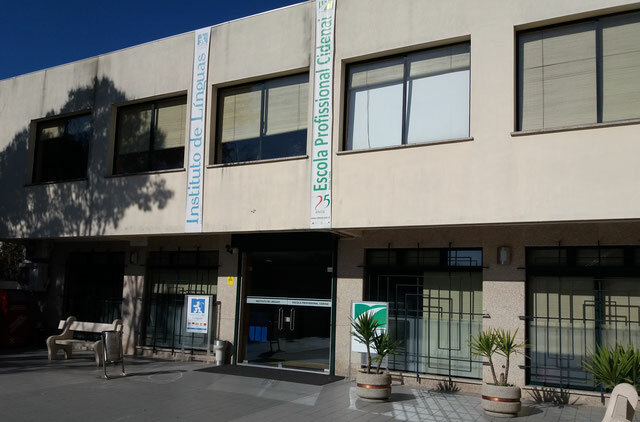 It was founded in 1977 and, during the first years of its operation, it was housed in the Primary School of Eleousa, until 1988 when it moved into its present building. The school facilities include an Assembly room as well as a Computer and Technology lab, a Science lab , an Art lab and a Library. Today, 245 students, who mostly come from Eleousa but also from the surrounding villages, attend morning classes of General Education such as Greek language, History, Maths, Science, Information Technology, Music, Art, and Physical Education. Two foreign languages are taught. English language is compulsory while the second foreign language, French or German, is by choice. Except for the 45 teachers who give lessons in the morning, there are also teachers in charge of afternoon optional classes who help weak students in subjects they wish to improve. Recently, students who attend computer studies in the after school classes are able to receive a Certificate in New Technologies. Additionally, students diagnosed with learning difficulties such as dyslexia, are offered extra lessons in the core subjects by specialized staff in the morning. Attendance at school is compulsory and at the end of the year students have to take written examinations in four subjects to be able to advance into the next class. The graduates are given the option of either moving on to General Senior High School (Lyceum) if they want to continue their academic studies so as to enter a university after taking part in the National Exams (Pan- Hellenic exams) at the end of Lyceum, or to attend a Vocational School to learn practical skills for a job they prefer.